The origin of Kettle Corn can be traced to colonial America where this addictively sweet and salty, crispy and crunchy popcorn treat was a favorite of colonists. Originally cooked in iron kettles with a little oil, sugar and salt, this perfect snack is as satisfying now as it was in the 1700s. 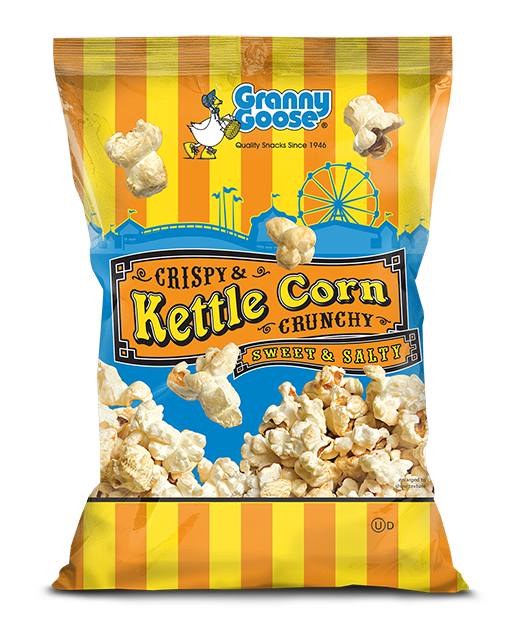 Granny Goose® and Kettle Corn: A Classic American Combo.